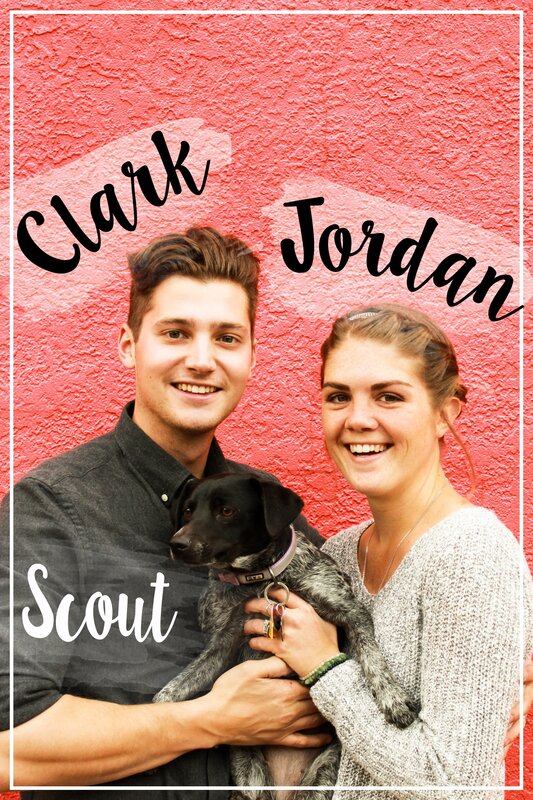 We’re taking a little container of these with us, stashed away in our snack bag along with a few remaining breakfast cookies, dried edamame, and my favorite granola. And we’ll be kind enough not to eat them on the plane, since some strange people don’t appreciate the odor heavenly aroma of curry. 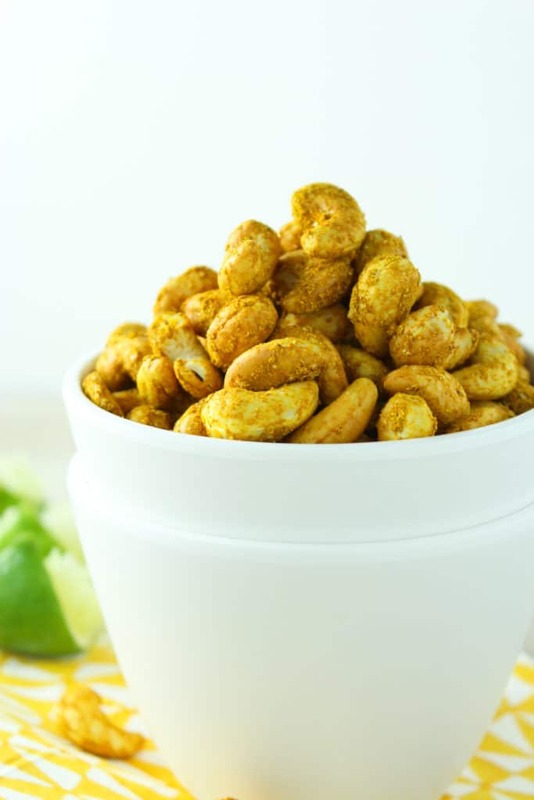 But once we’re all by ourselves, a million miles away – or more like 2,800 – these crunchy, salty, addicting little nuts don’t stand a chance. We’re going to Mexico and we’re never coming back. 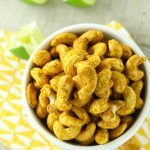 I will just find a way to make these cashews there, and maybe the breakfast cookies too. And then we’ll have everything we need. Each other, sun, sand, tacos, balmy breezes, sunsets, tacos, and tequila. Did I mention tacos? Maybe it’s the tequila. Either way, thanks to a lovely and genius blog scheduling feature, I’m currently not blogging. I am not working. It just looks like I am. I might have brought my camera along so that I could take photos to share here later when I tell you how awesome Mexico is, but other than that, I’m not working. I am doing a rotation of some of life’s greatest pleasures. Basking in the sun. Drinking another margarita. Eating these cashews. Eating a fish taco. Falling asleep on a beach chair. Wiggling my toes in hot sand. And repeating. 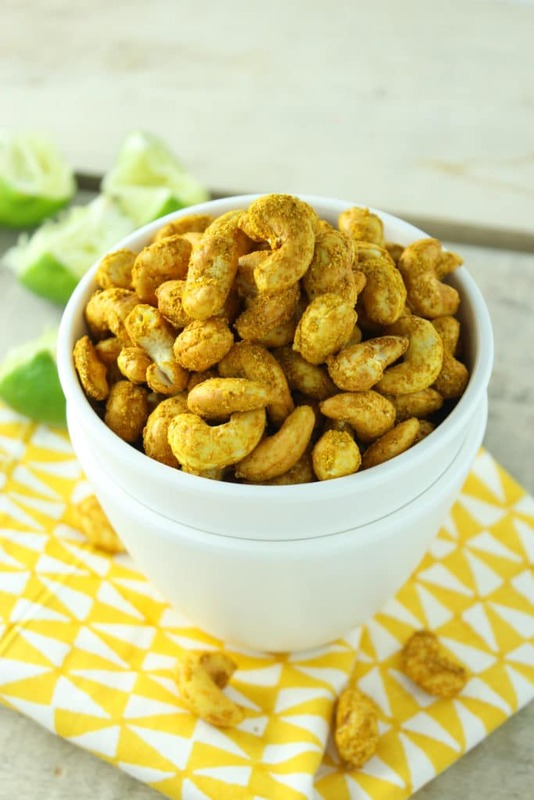 These crunchy, curry-coated cashews are dangerously addicting. 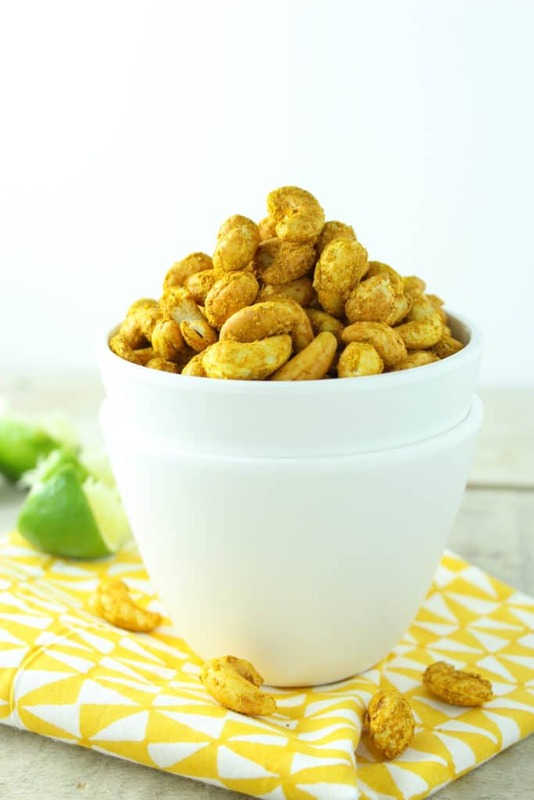 Salty, limey, and slightly sweet, they hit all of the snack bases. 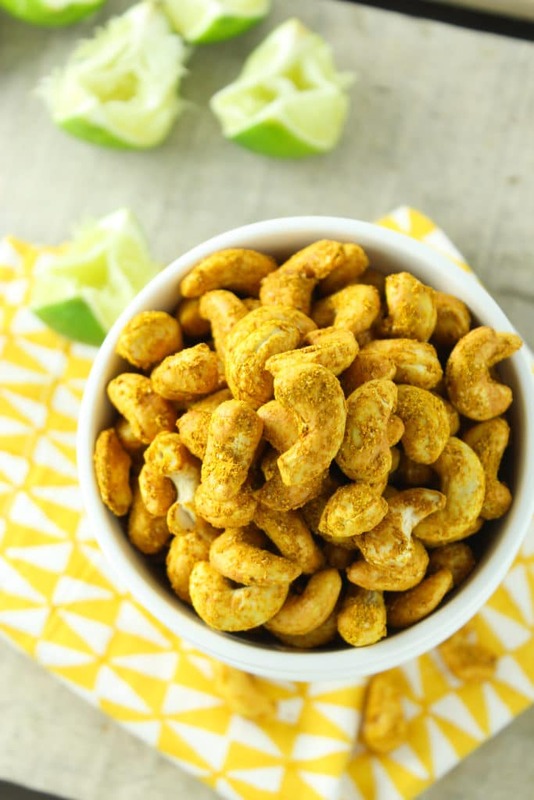 Combine all ingredients in a bowl and use a spoon to mix until the cashews are thoroughly coated. 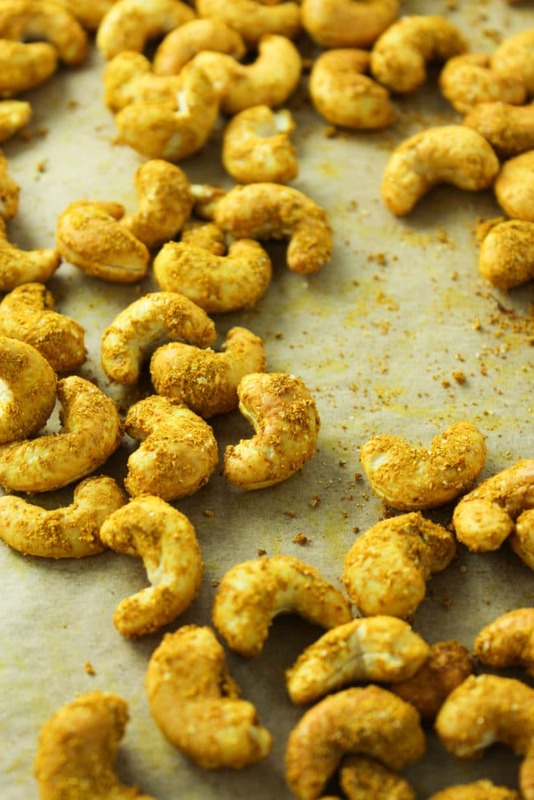 Dump cashews onto the baking sheet and bake for 40 minutes, tossing every 15 minutes or so to evenly roast. They crisp up even more after cooling, so do not overcook! 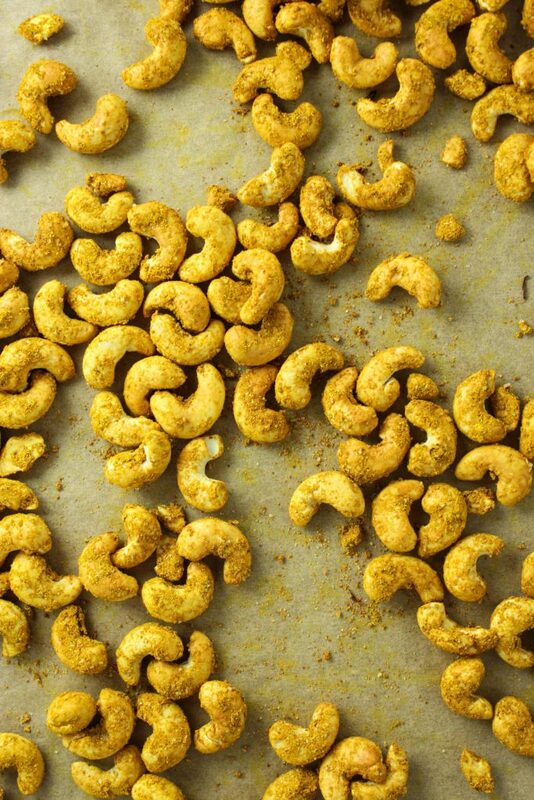 If using roasted cashews, decrease baking time by half.